Stay tuned for new events by subscribing to our newsletter below in the footer of any page! Please, join me on Sat. 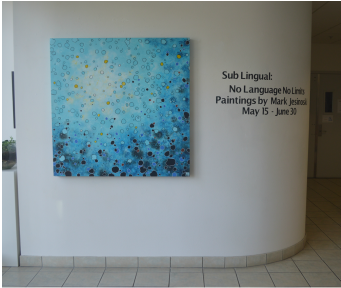 May 28 5pm for closing reception of my first solo showing in San Diego in four years at The Blueazul Collection Gallery in Mission Hills, San Diego. 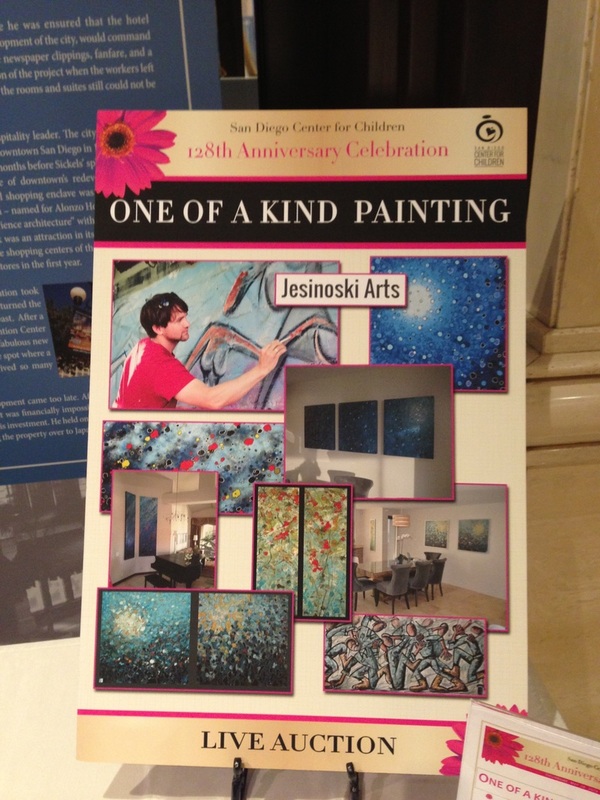 We are happy to announce that Mark Jesinoski will be joining San Diego Center for Children's Fundraiser once again this year to support their wonderful cause and he will be creating a piece of art LIVE during their Gala event on Thursday, June 2nd at 5:30pm at US Grant Hotel. Hurry and buy your tickets HERE for this is a wonderful and inspirational event that is not to miss!!! If you can not attend the event, consider donating - this amazing organization changes lives of children! 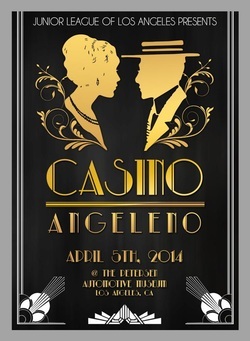 Cocktails, silent and live auction and three-course dinner all a part of this wonderful night of celebration. 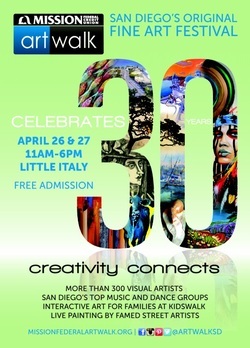 Mark Jesinoski will be painting live in support of Junior League of San Diego at their annual fundraiser "Food and Wine Festival" on May 7th from 1-5. Purchase your tickets here and come support a great cause, party and watch Mark paint. The final "creation" will be auctioned off at the event. Mark Jesinoski and several other great Oceanside artists are showing at a newly created Phantom Gallery at 212 Coast Hwy 101, Oceanside! Please, come view some beautiful art while it is on display. Please, contact us with any questions! In complementary support to California Dreaming: An International Portrait of Southern California, OMA and the L Street Fine Art Gallery (located in San Diego's Gaslamp District) present San Diego Dreaming, at both partner venues. 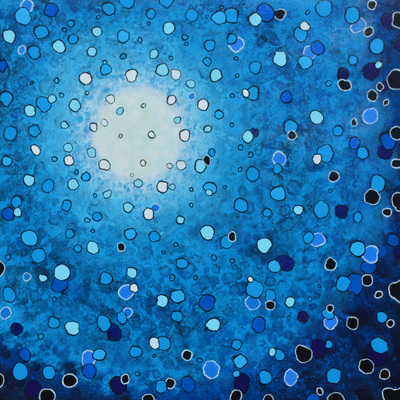 An outgrowth of the California Dreamingjurying process, the joint San Diego Dreaming exhibition will focus on the San Diego arts community and its interpretation of the "California Dream" by over three dozen prominent and talented San Diego-based artists at the Oceanside Museum of Art. 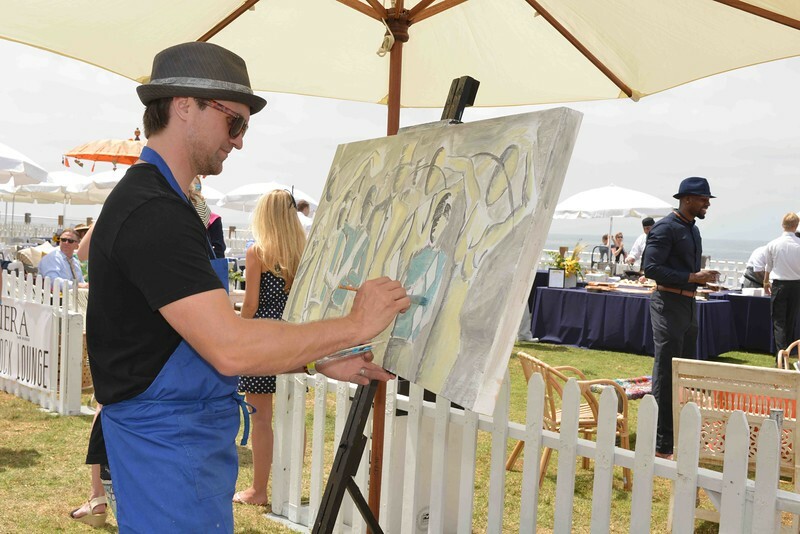 Come see how they interpret the "California Dream"
On Saturday, May 2, 2015, the 15th Annual Junior League of San Diego Food & Wine Festival will take place at La Jolla Cove where Mark Jesinoski will be painting live for the 5th year in a row supporting Junior League of San Diego. The painting created from start to finish will be auctioned off during the event. 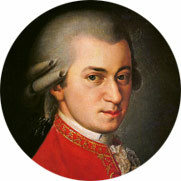 Celebrate the Mainly Mozart Youth Orchestra’s first birthday with a Westgate Brunch,Silent Auction, and Concert, featuring a side-by-side performance of the Mainly Mozart Youth Orchestra and the Mainly Mozart Festival Orchestra at the historic Balboa Theatre. Furnishing Hope Fundraiser "Art Clectic"
and we are looking forward to a grand celebration of creativity.